Choose any of the walks or we will recommend a programme for your walking holiday. 3 day, 5 day and 7 day packages include guide and transfers to your start/finish points as needed." 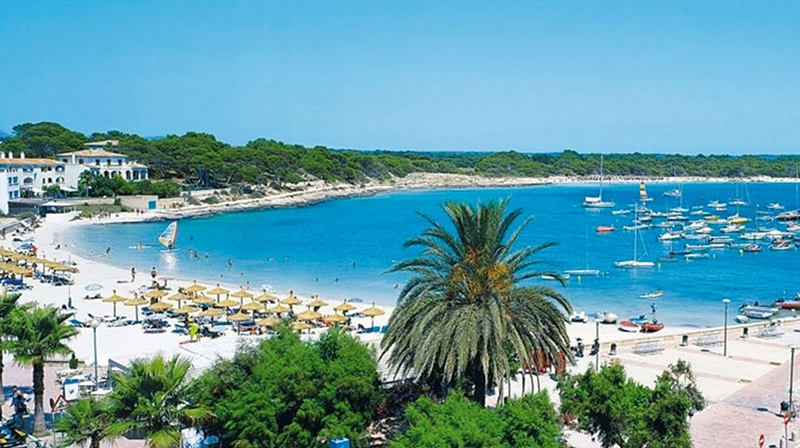 You will stay in the 3 star Bluewater Hotel, in the beautiful coastal town of Colònia Sant Jordi, Mallorca. This walk can be all walking or we recommend walking half the route and then taking kayaks or bikes for the remainder of the route. This is a delightful coastal walk along the south coach of the island. We recommend walking plus bike or kayaking on this beautiful walk. Showcasing one of the most beautiful beaches in Mallorca, Es Trenc, this is a gorgeous coastal walk along the south coach of the island. We recommend walking plus bike or kayaking to really experience the wonder of Es Trenc. This is a delightful coastal walk along the south coach of the island. We transport you to the start of the walk where you follow the classic coastal walk, and finish back in the town of Colonia Sant Jordi. This is a delightful coastal walk along the south coach of the island. We recommend walking plus bike or kayaking on this beautiful walk . Easy to medium, 4 hours, coastal. Heading round the south east coast you will discover the Calas of eastern Mallorca on this idyllic coastal walk. Walking this east coast route will take you back in time as you explore some of the classic Calas of Mallorca. The steep hills of San Salvador in the south east of the island provide a classic walking landscape as you explore the history of 13th century Mallorca at the Castell de Santueri and its surrounding area. Medium to difficult, 3.5 hours, mountain. Witches mountain provides the setting for this classic walk in the south east of the island. Medium to difficult, 4/4.5 hours, mountain. This is one of the most popular walks in the Tramuntana mountains of northern Mallorca. Walk the stone path built by Archduke Luis Salvador of Austria and enjoy some of the best views on the island. 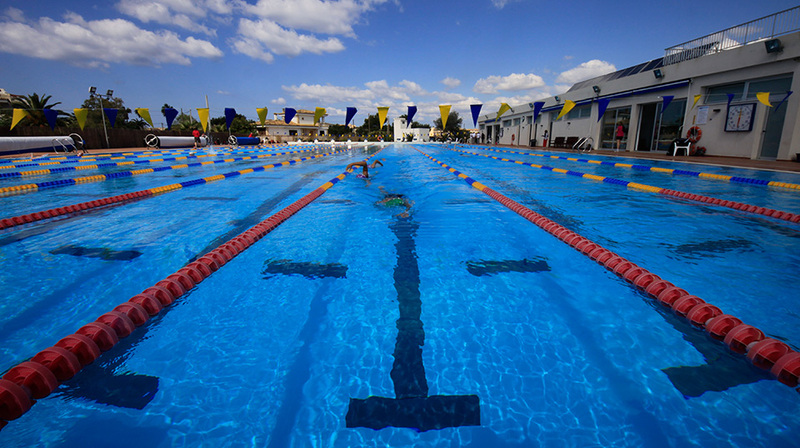 The BEST Centre is an outdoor Olympic sized swimming pool and you are welcome to come for a swim. Half price entry is available for all walking tour guests. 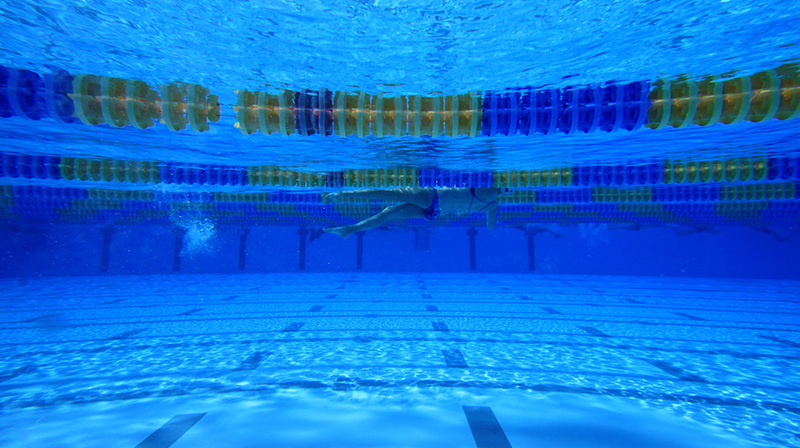 The BEST Centre The centre welcomes some of the top swimmers from around Europe for their warm weather training camps. You never know who you might meet! Whether you are looking for sport and an active break, or a quiet beach to relax, the BlueWater Hotel is the perfect place to enjoy your holiday. 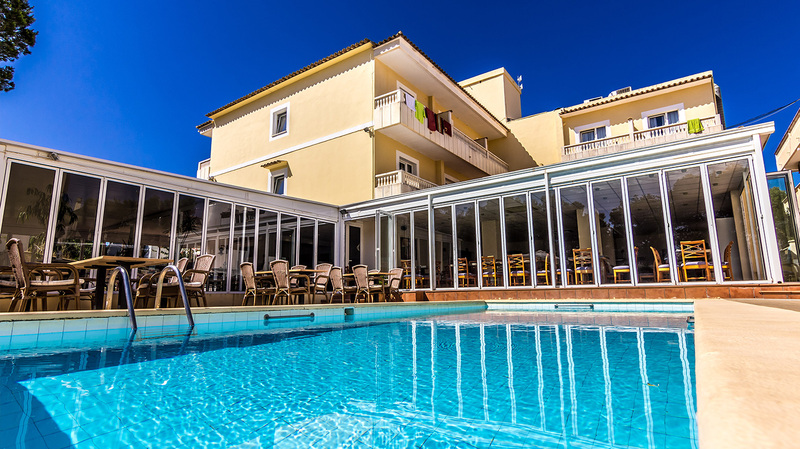 The quiet location is ideal for those looking for beach time and the town of Colònia Sant Jordi is packed with sports and outdoor activities. Located just a short walk from the harbour area, you are ideally placed to take advantage of the beaches, cafes, restaurants and shops in the town. The hotel is perfect place for walkers to relax. Colonia Sant Jordi is the ideal place to relax or to be as active as you like. Just a short walk from the hotel you will find plenty of cafes, bars and restaurants, among them, according to the national press, the best Paella not just on the island but in all of Spain. The stunning beaches on this part of the island have made Colonia Sant Jordi the most famous destination in the Balearic Islands. 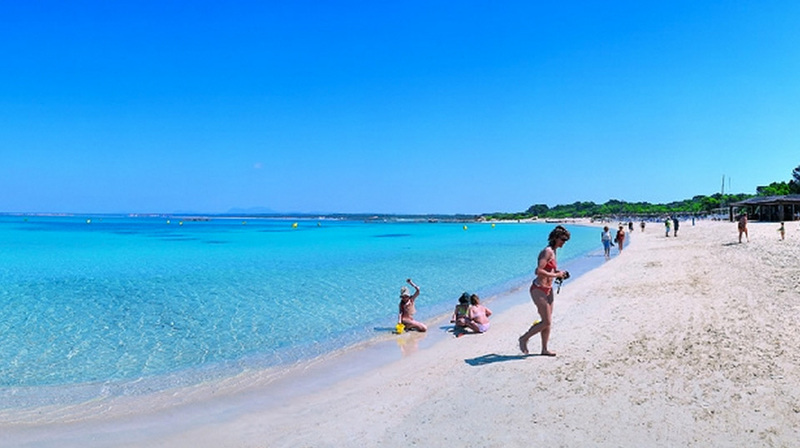 Es Trenc, on the west side of the town is the most well known of all the beaches in Mallorca because of its miles of golden sand, crystal clear water and national parkland behind. Es Dolç and Es Carbó are the beaches on the east of the town. Es Dolç is the area of beach clcoser to the port with Es Carbó a little further round the headland. If you need more information or have any questions about our walking tours, please ask us. If you are not sure which tours suit you best, we are happy to talk with you and put together the best itinerary for your stay with us. info@bestswimcentre.com - Tel: (+34) 971 65 65 60. Please send me a quote for this tours. * Children from 0 to 2 years free. * Children 2-14 years with two adults 50% discount. * 1 adult with a child from 2-14 years 30% discount. * 3 adults 30% discount for the third person.